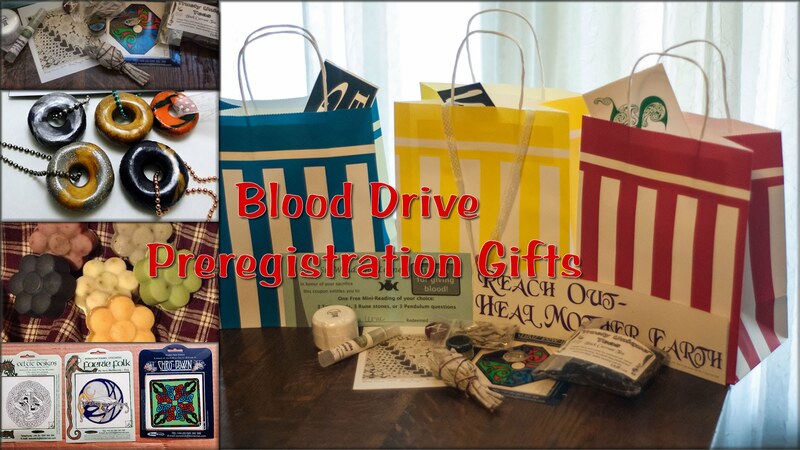 Sign up for an appointment at the Pagan Pride Blood Drive before Saturday, and when you arrive you will be given a swag bag as a thank you! 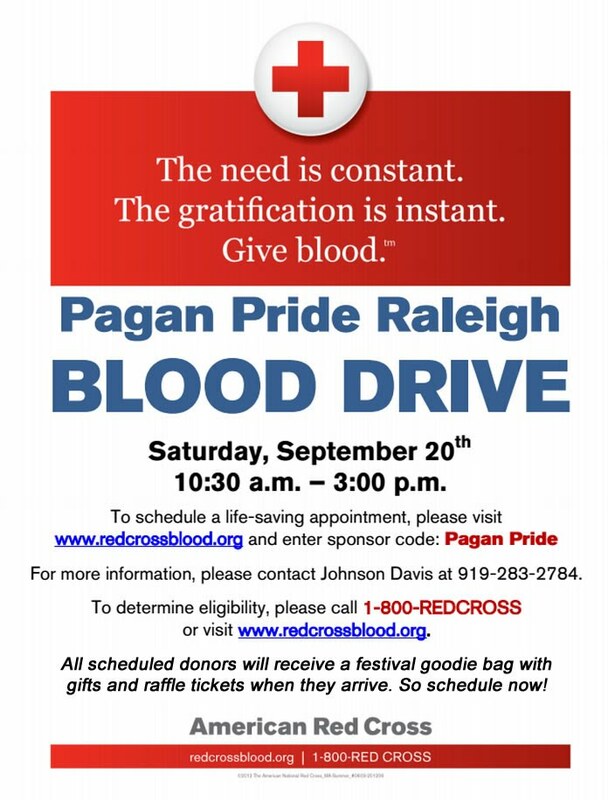 The Bloodmobile will be open Saturday, September 20th, from 10:30am to 3pm. It is a quick and easy way to make a difference in someone's life... and get some wonderful gifts too.